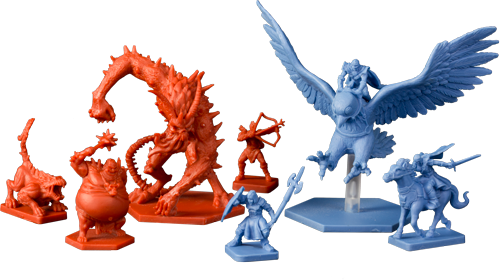 It’s been 5 years since Fantasy Flight Games took over BattleLore from Days of Wonder—5 years of production problems, poor availability, and confused branding. Now the company has released a second edition of the game, exciting and potentially disappointing longtime fans at the same time. 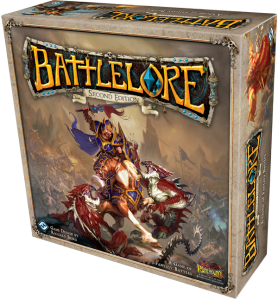 BattleLore Second Edition maintains the same basic command mechanics as the original, while combat rolls work differently and drafting of custom armies is the default. 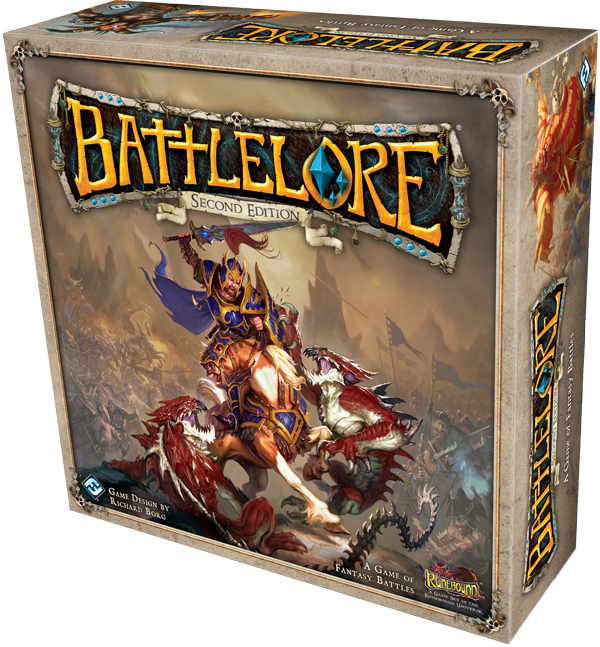 Like the first edition and other Commands & Colors-system games, BattleLore has players activating units in left, center, and right sections of the battlefield using command cards. Unlike the others, though, the success of combat dice rolls depends entirely on the type of unit attacking. This eliminates something that was often confusing to new players, that hits were scored when dice rolls matched the defending unit type. Changing the combat dice mechanics has also allowed FFG to individualize various unit types. And this goes hand-in-hand with the other major change to the game, that rather than historically-based, BattleLore is now set in Fantasy Flight’s Runebound universe, Terrinoth.